With the appointment of Senior advocate Lavu Nageswara Rao as the Judge of Supreme Court, now the number of judges hailing from Amaravati to Apex court has gone up to three. 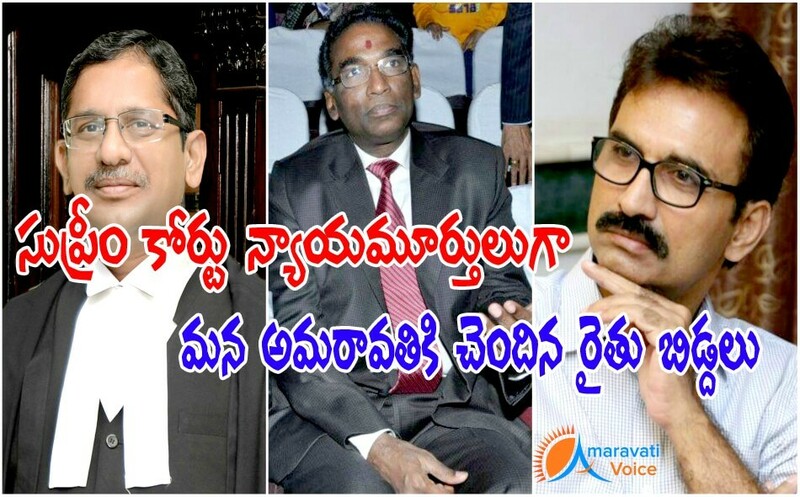 The other two justices J Chelameswar and NV Ramana are already being appointed in Supreme Court. The coincidence is that all these three are hailing from Amaravati Region, and two of them have studied in the colleges affiliated to Acharya Nagarjuna University. And the other coincidence is, all three of them are from agricultural background. Lavu Nageswara Rao hails from Pedanandipadu in Guntur district of Andhra Pradesh. He was born on June 8, 1957 in an agriculturist's family and studied law in Guntur. He enrolled as member of AP Bar Council in 1982 and started practice in Guntur before moving to the High Court. He has 22 years of practice as a lawyer and was designated as senior advocate in 2000.